Gorilla Stands GSM-100 are tough metal speaker stands suitable for most popular models of active and passive studio monitors. 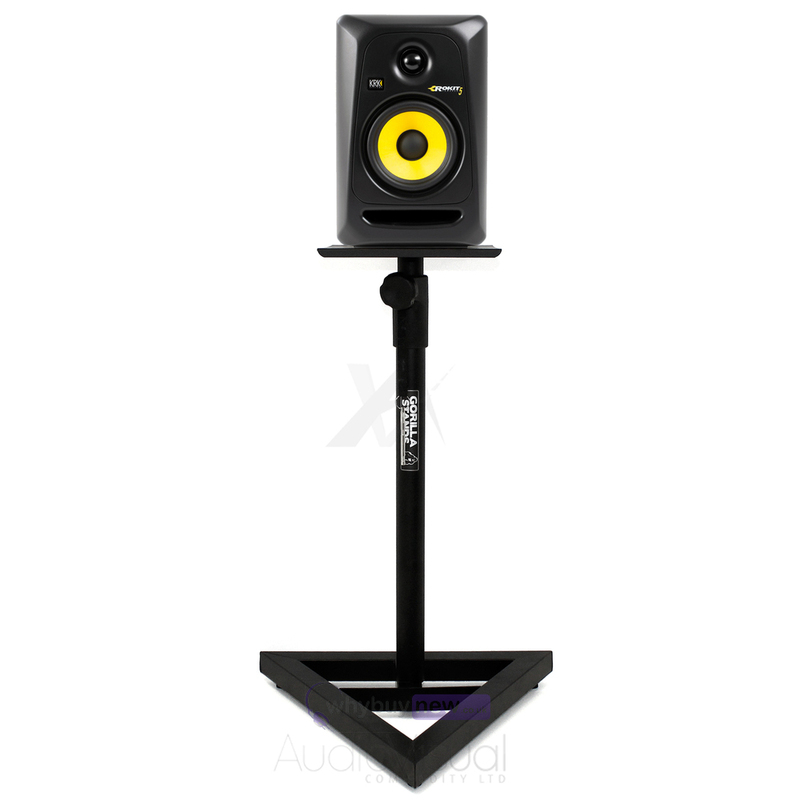 These high-quality stands are the perfect addition to your studio and allow you to position your monitors for optimal playback monitoring whilst freeing up work space on your studio desk. 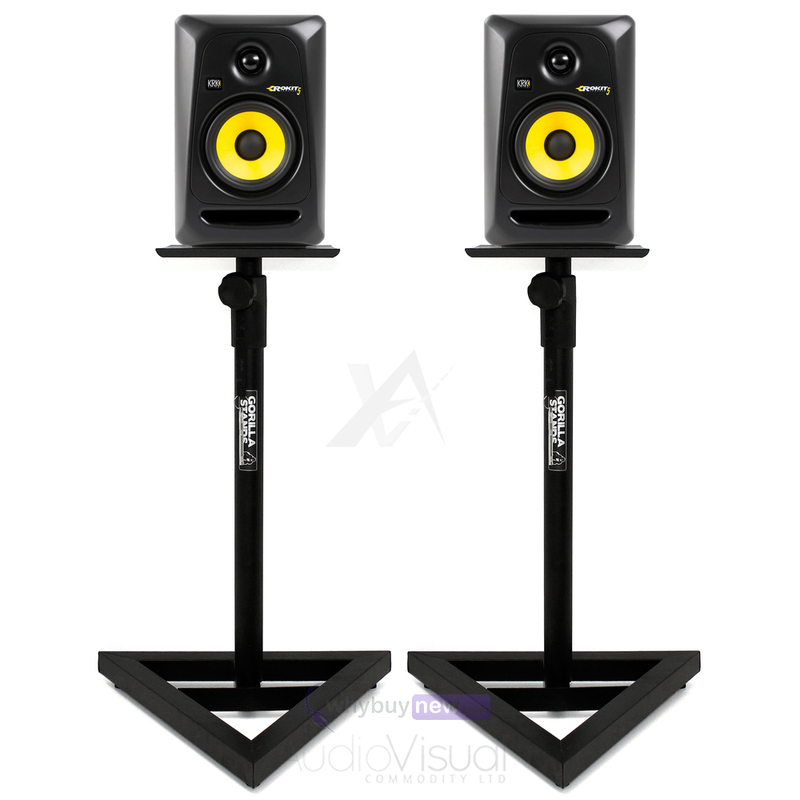 GSM-100 studio stands are height adjustable from 65-115cm allowing them to be adapted to your studio. GSM-100 stands are quick and easy to assemble with a robust metal construction and tough black powder-coat finish which ensures they continue to look by being resilient to everyday scuffs, marks and scratches. 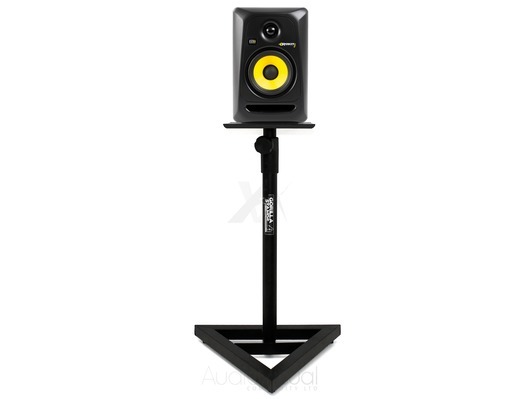 Add a professional touch to your studio with some high-quality studio monitor stands from Gorilla. 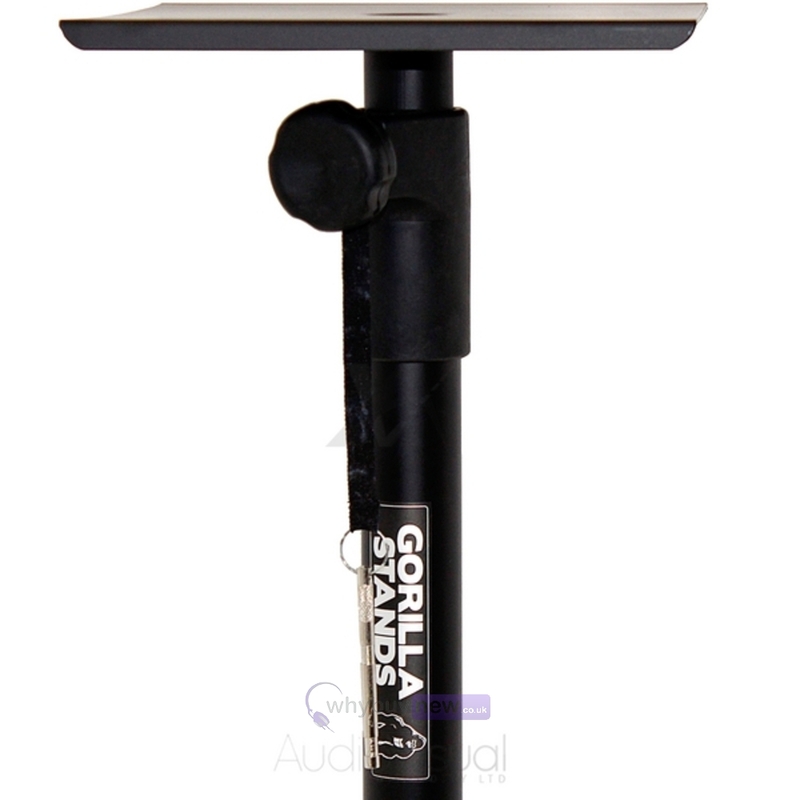 Buy Gorilla stands with confidence and at the lowest UK prices from an official UK dealer at whybuynew.co.uk. *PLEASE NOTE: This listing is for the stand(s) only, all monitors/speakers shown in images have been used as an example only. Here we have the Gorilla GSM-100 Studio Monitor Stand in brand new condition and in B-Stock. The B-Stock versions would have been on display at a training evening or trade exhibition only and will come boxed 'as new' with all accessories and a 1-year warranty. Top Plate 8" x 8"
A really strong good quality stand at an excellent price. Very pleased with it. Excellent stand at an unbelievable price. Construction is first class and perfect for bookshelf speakers. Very happy with these. Excellent quality for the money. Happy that they came with foam strips as my monitors don't have any at their base. Look on youtube for the video on how to correctly set them up.